Originally published in 1987, the contributors bring their different orientations to the study of child development and genetic epistemology to show the continuing value of Piaget's theory and its fruitfulness in providing insights which permit the advancement of science. This volume contains the proceedings of the VIIth Advanced Course of the "Fondation Archives Jean Piaget", held at the University of Geneva in 1985. 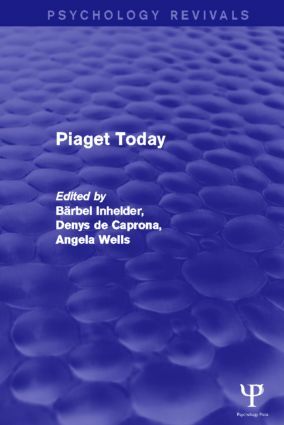 The lectures and discussions included in this volume will help the reader to understand Piaget in the context of twentieth-century science and philosophy and to consider the present and future of the theory, as it was seen at the time of original publication.